In addition to three annual golf tournaments run by the Foundation, other major fundraisers include autograph signings at five different stadiums during MLB Cactus League Spring Training in March, autograph signings at Hall of Fame Induction weekend in July, MLB All-Star FanFest, 3 annual MLB FanFest conventions in January, and education and awareness work during Black History Month in February. Other smaller fundraisers take place on a monthly basis, including private autograph signings, book signings, speaking engagements, fantasy camps and golf tournaments hosted by other charitable celebrities. Fergie's personal services contract with the Chicago Cubs also provides more exposure and fundraising opportunities for his charity. 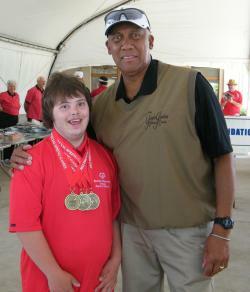 The Fergie Jenkins Foundation has undergone numerous brand makeovers. The current logo, which prominently displays Fergie’s jersey number 31, was developed as a result the Chicago Cubs retiring Fergie’s number in a ceremony in May 2009. 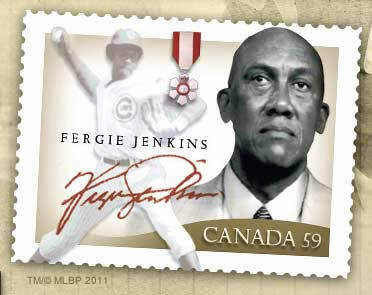 Other major events in the Foundation’s history include Fergie receiving the Order of Canada in 2007, his commemoration on a Canadian postage stamp in 2011, and the development of the Fergie Jenkins Museum in 2013. 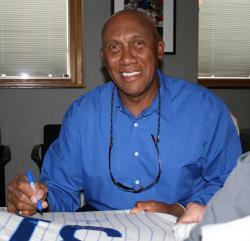 The Fergie Jenkins Foundation continues to seek out new fundraising opportunities and a comprehensive Media Kit can be found here, linked to this website. If you have any questions about the Fergie Jenkins Foundation, don’t hesitate to email us through the Contact tab above, or call the office at 905-688-9418.